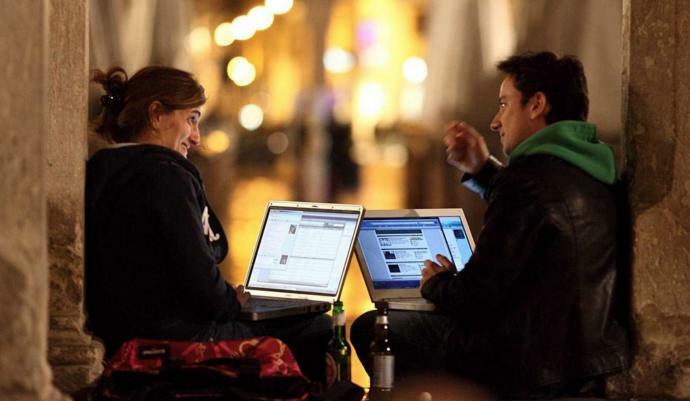 Do you prefer meeting your partner in real life or online? Am I being jealous/overreacting, or is my reason for being upset valid? Why do couples nowadays break up easily, rather than to work on the issues within their relationship? What would you do if you saw your friend checking out your Partner? Is 5 foot 0 inch a turn off? If tomorrow was the end of the world with whom u would like to spend these final hours? No preference as it's difficult for me to meet other people. Being a bit of a geeky type - I prefer online. If done right I can establish things like interests etc upfront so as not to waste time dating before eliminating someone based on incompatibilities. Also gives me more range (ie can "meet" people outside my normal social or work circles) Taking into real life is important because only then do you see chemistry.. read body language etc.. but I have no issues with starting the process online... actually prefer it. Every guy I have dated has been IRL. I never do dating sites. It makes me feel weird and uncomfortable. I honestly never had a problem meeting men IRL. There always new people to meet everywhere in my book. I met my boyfriend because a mutual friend gave me his snapchat and said "he has really good memes", and we sent memes back and forth for a few months without saying anything. I met my boyfriend online, but we see each other in real life. He only lives five minutes away. I met an ex online who lives half an hour away and we saw each other each week irl. Definitely offline. Online has been overwhelmingly, meh. Most never read what you say in your profile and the few who do read tend to ignore or gloss over what you share and still contact you when in reading their profile you quickly see your lack of compatibility. Definitely in real life. Online dating is never in the guy's favor I mean unless he looks like a super model. I really wish there was like a floating icon over women's heads that indicate whether their single or taken. Cause surprise surprise most of the women I ask out have bfs. And I honestly don't know if they're lying or telling the truth. are things i look when i meet new people? To me choosing a partner online is the same as buying off ebay. I think it devalues women to the level of a product. In real life, I want to see her and talk to her face to face. Online does not allow one to truly get to know someone like meeting them in real life does. Either or is fine. I don't mind either one of them. Long we connect pretty well with one another. Either is good... If I meet them online I won't take long to meet them in person. I don't do long distance online only relationships. Real life. It’s more honest and I’d like to think less judgmental. Even if it starts online, real life would still be preferable. Real life. Its easier that way. IRL. That's how you build up a real relationship! Home > Relationships > Do you prefer meeting your partner in real life or online?